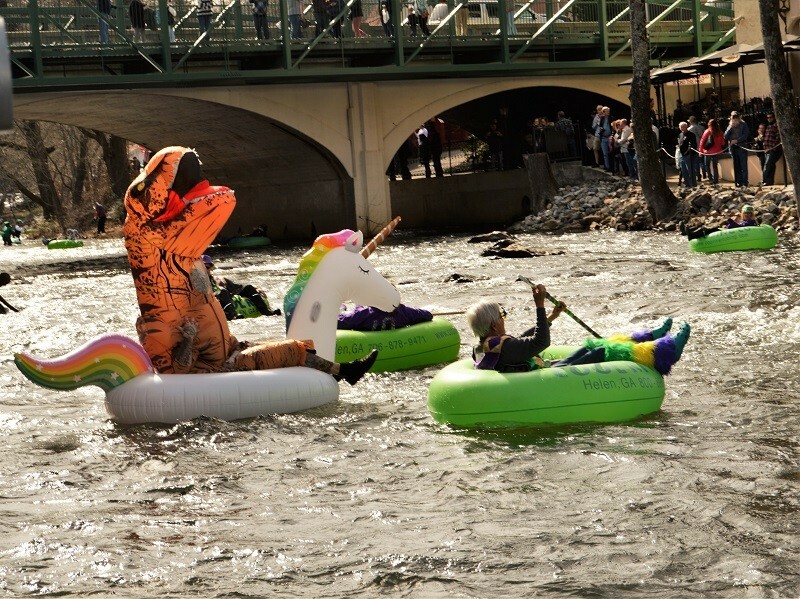 A T-Rex on a rainbow unicorn tube floats down the Chattahoochee River in downtown Helen Saturday as part of the Fasching River Parade. 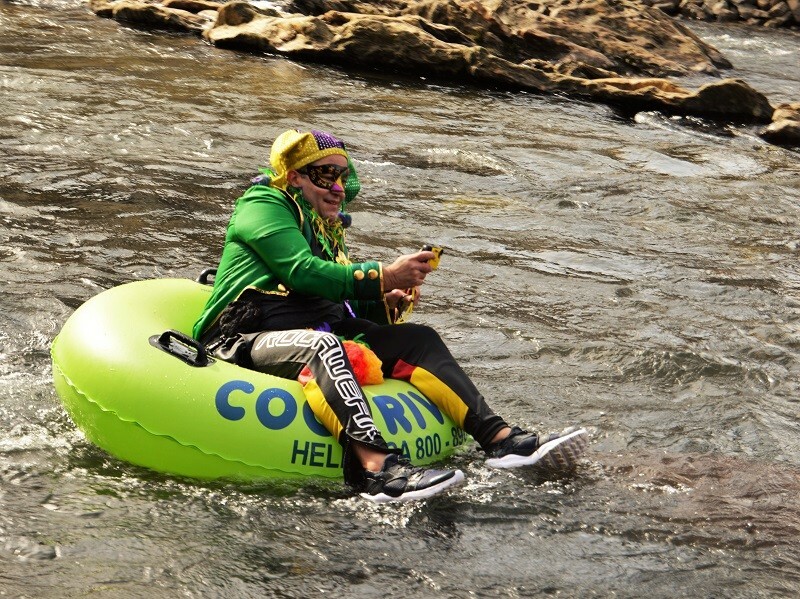 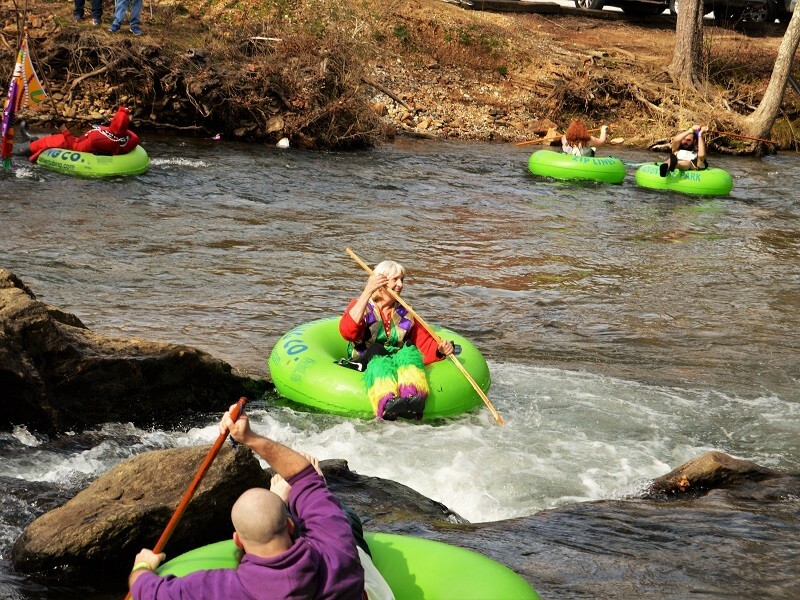 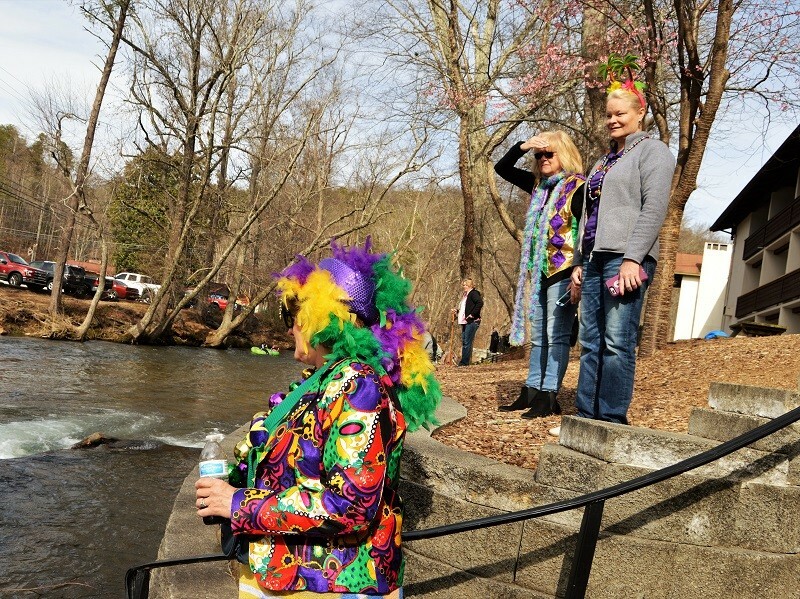 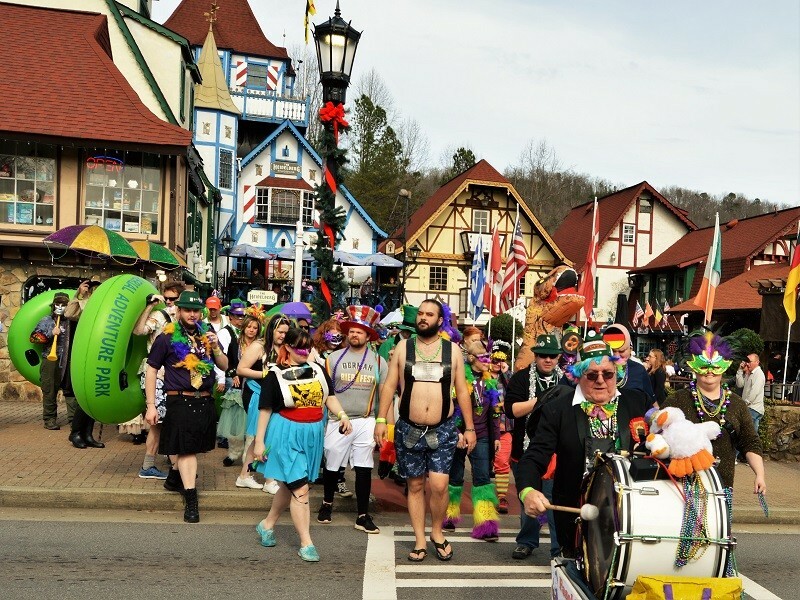 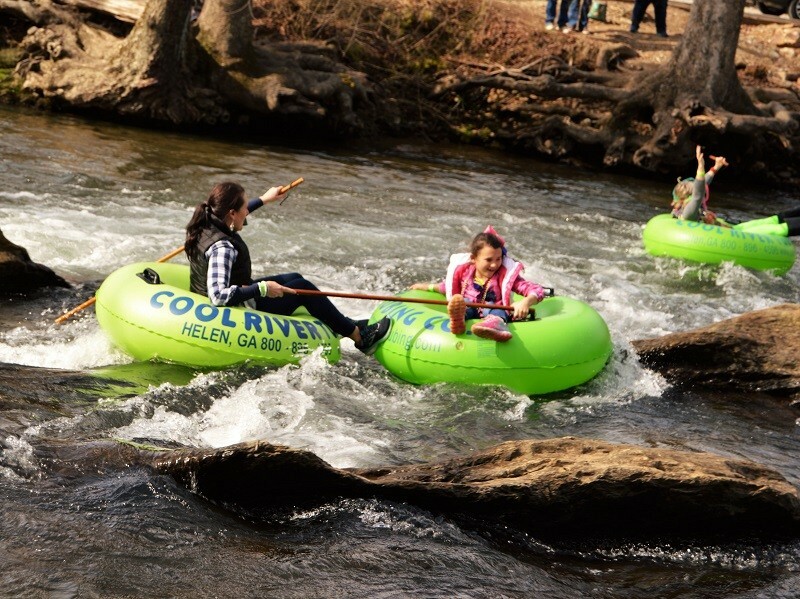 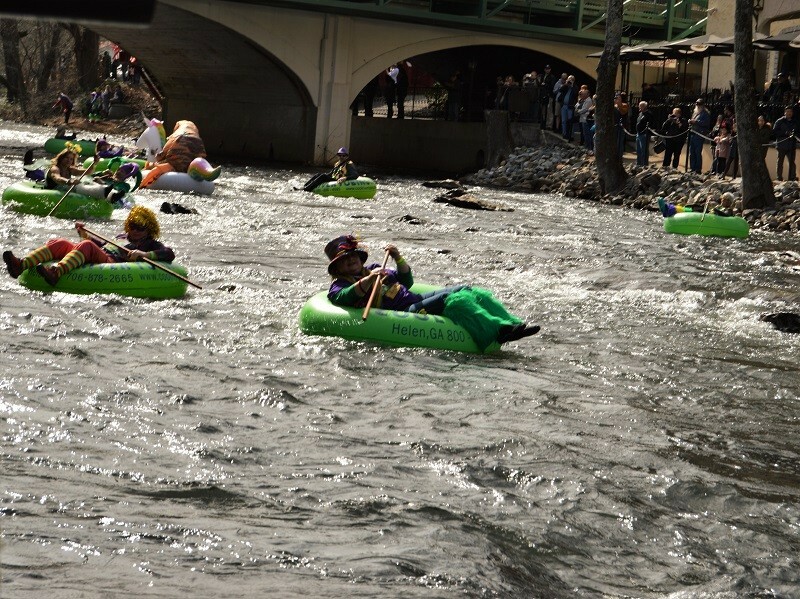 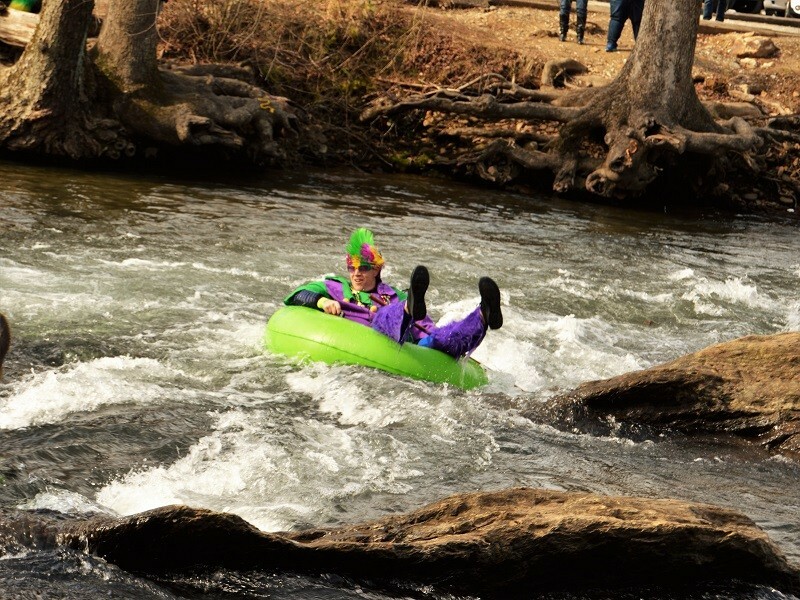 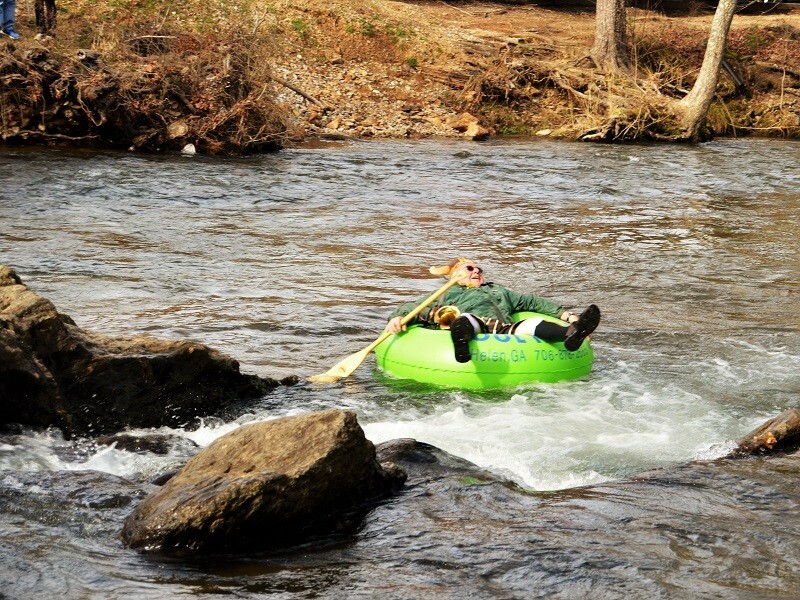 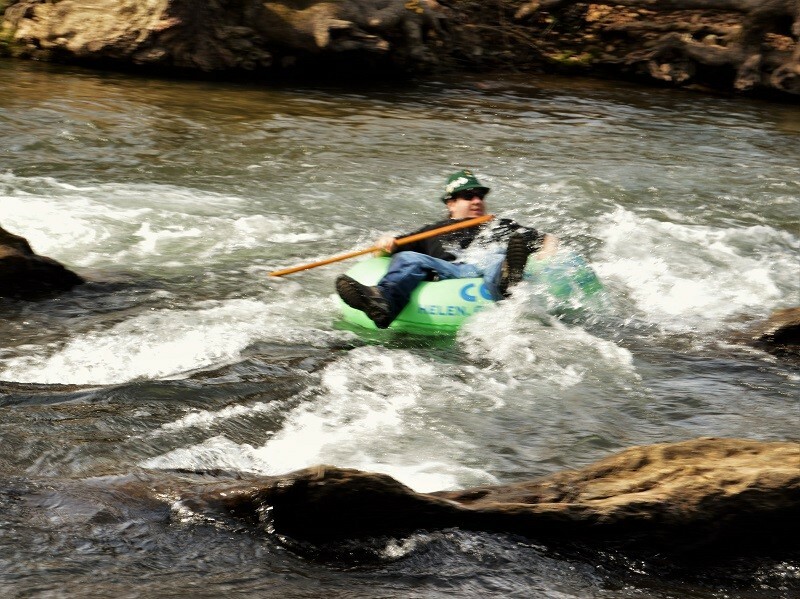 HELEN – The previous week’s warm temperatures didn’t do much to warm the waters of the Chattahoochee, but that didn’t stop some 70 tubers from taking to the river in Helen on Saturday for the annual Fasching tube parade. 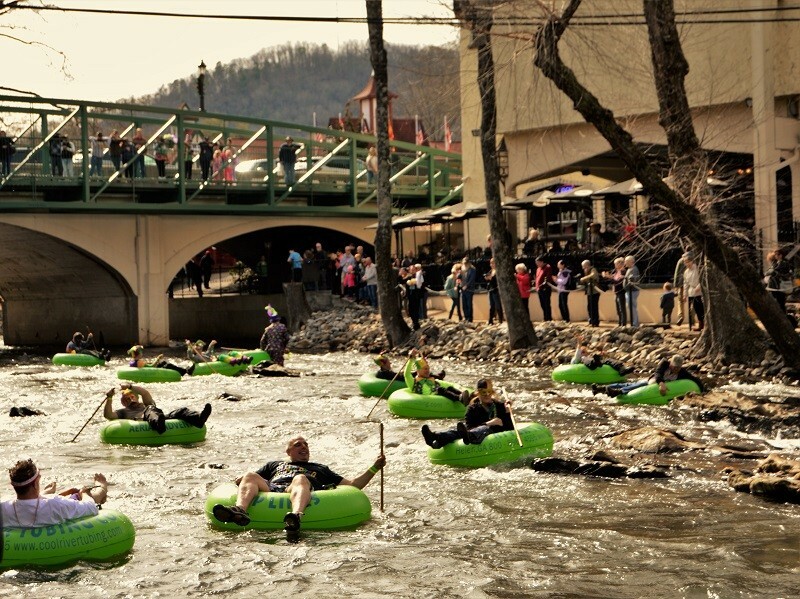 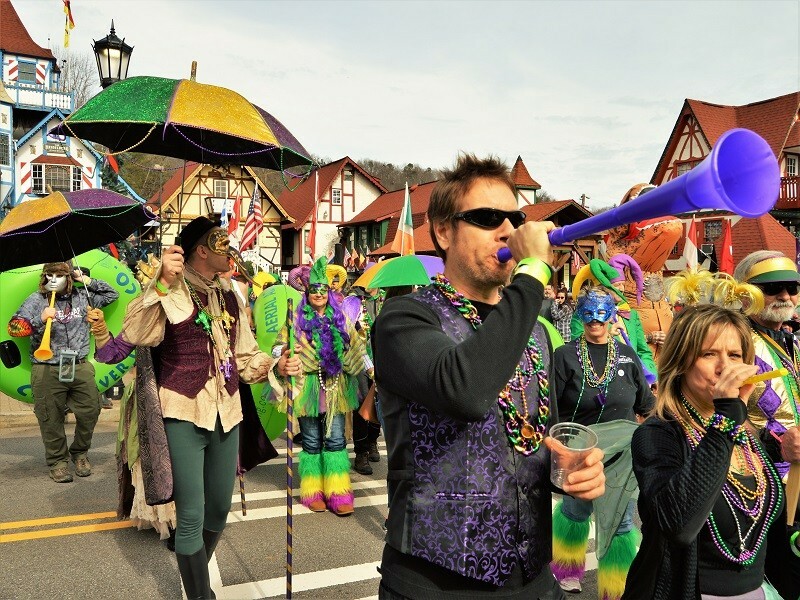 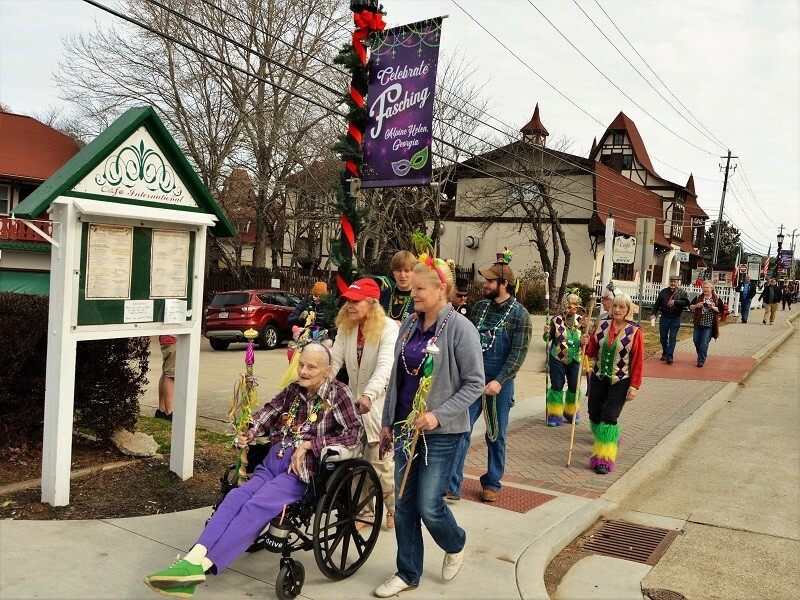 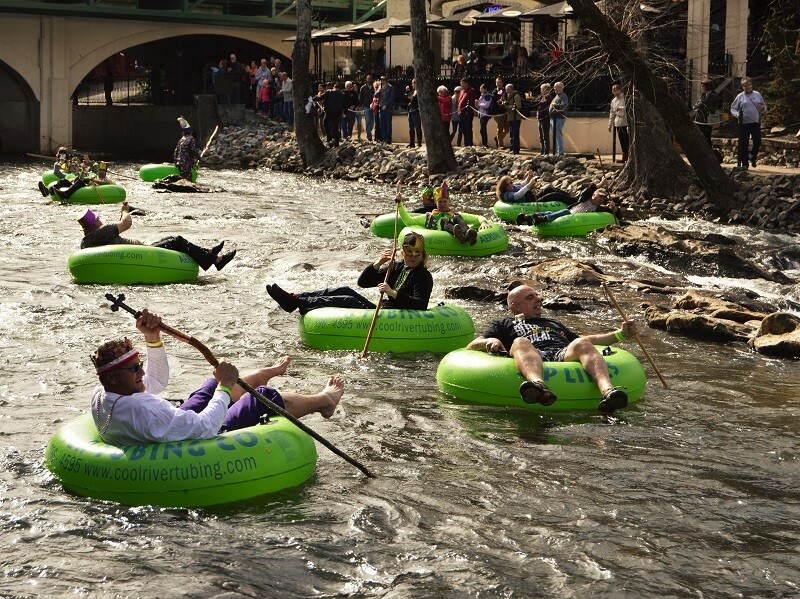 The sidewalk and river parade begin at the Helendorf Hotel each year, then participants parade through town, stopping at about a half dozen establishments for “schnapps stops” before entering the water for the river parade on tubes provided by Cool River Tubing. 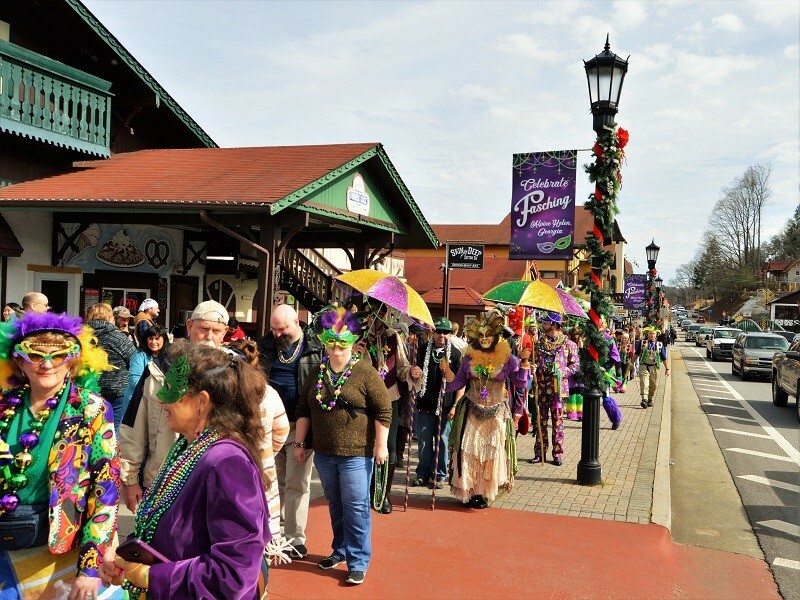 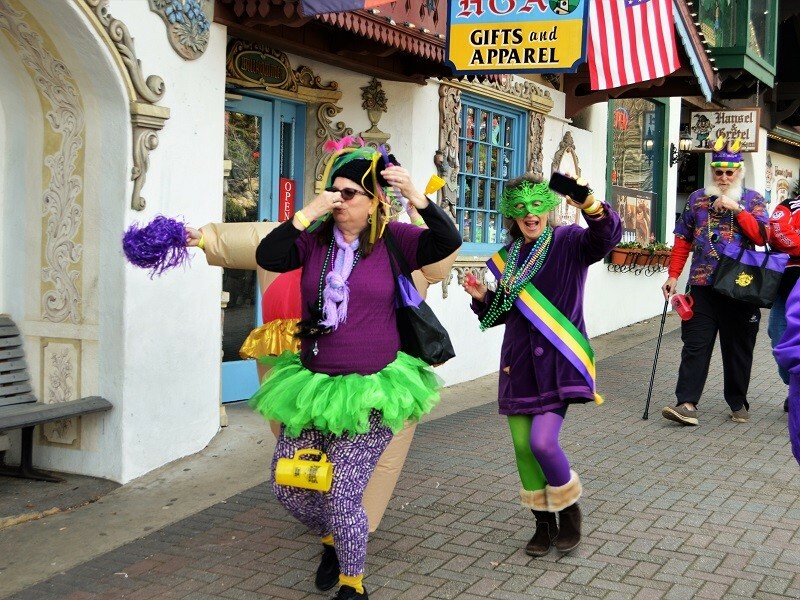 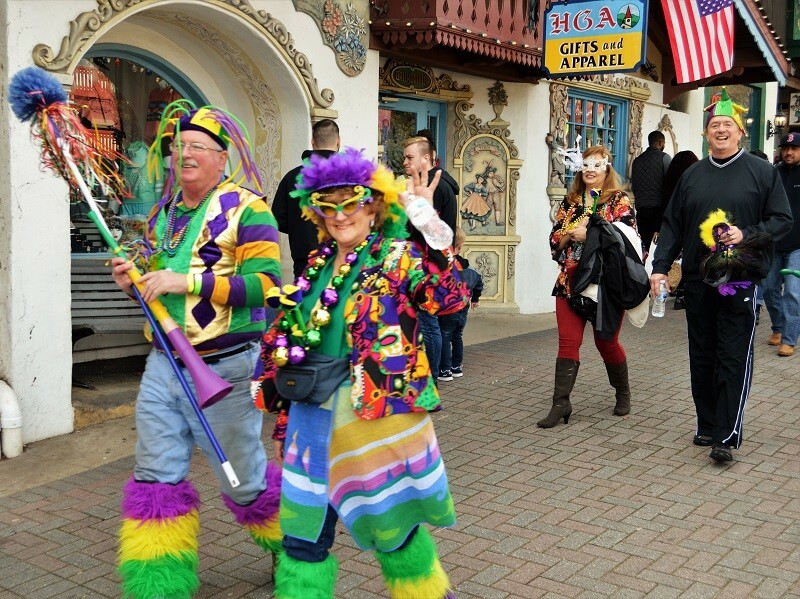 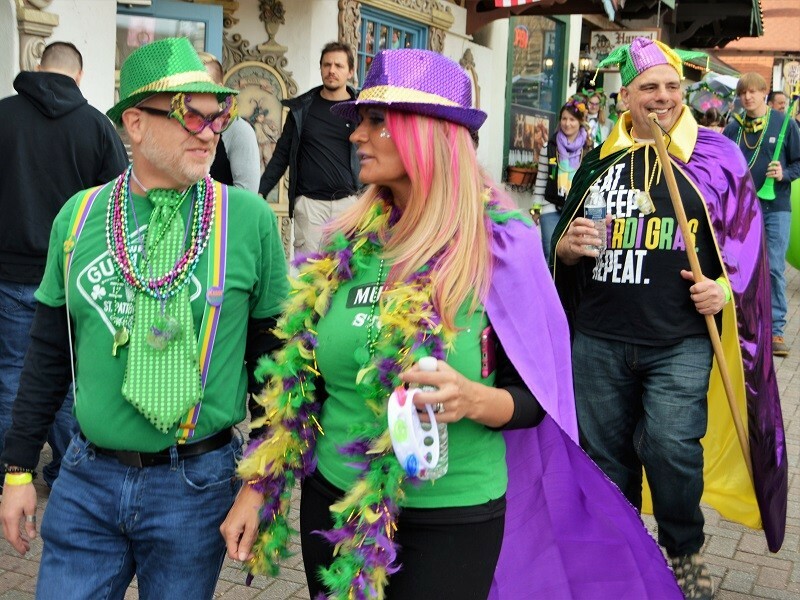 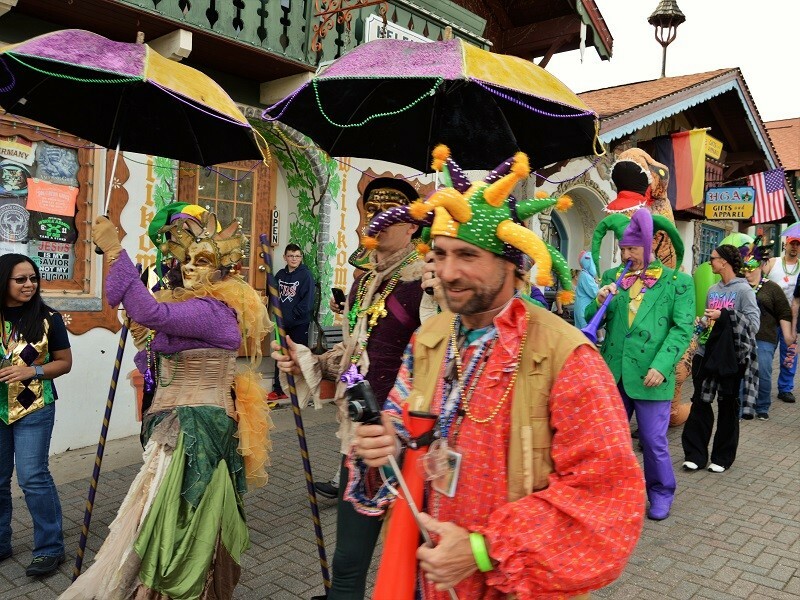 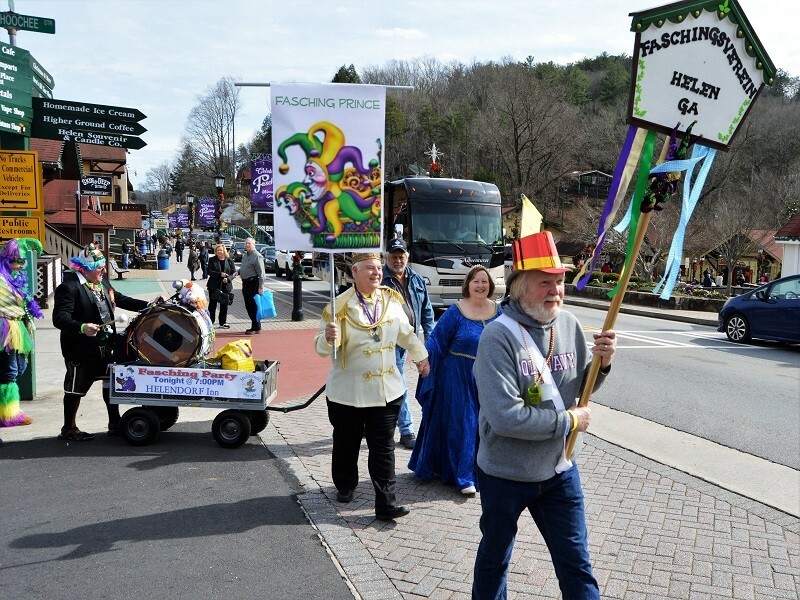 Most participants wear colorful Mardi Gras-style outfits featuring purple, green and yellow, while others wear costumes. 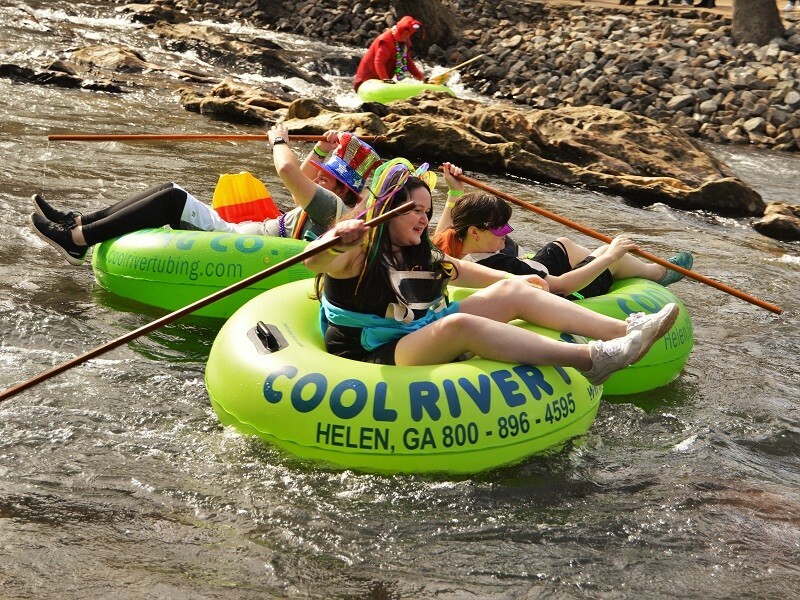 This year, in honor of the 50th year of Helen’s Alpine Village theme, tubers received a commemorative pin. 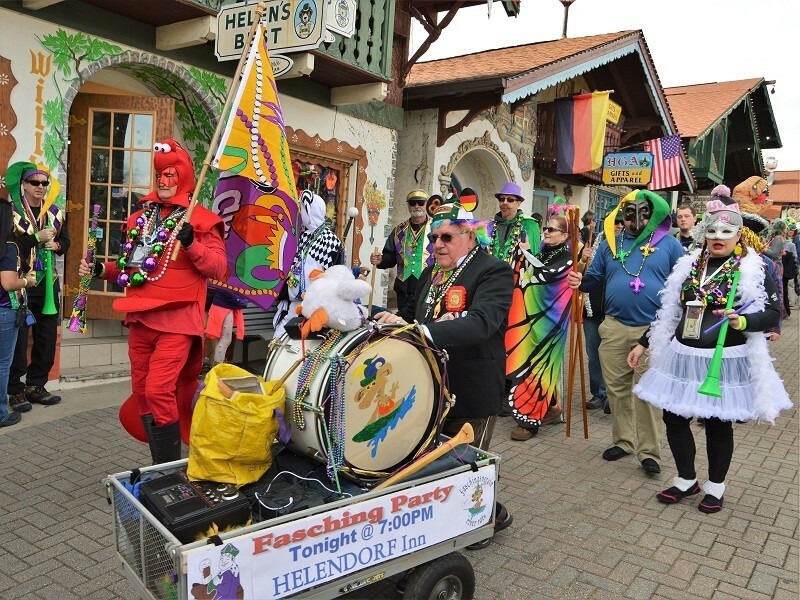 Festivities continue Saturday, Feb. 16, when the Helen Chamber of Commerce holds its annual Fasching party from 7-11 p.m. at the Festhalle on Edelweiss Strasse, featuring German music, food, drinks and dancing. 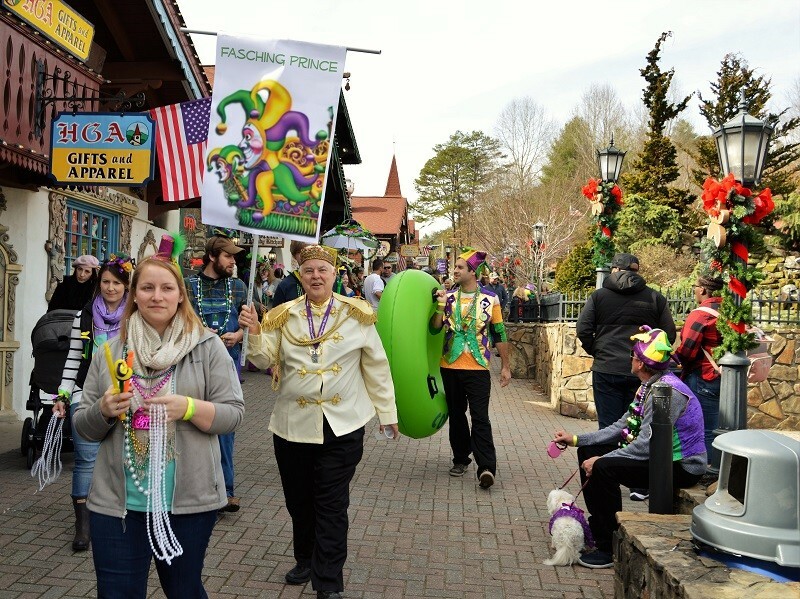 Cost for that family-friendly event is $8. 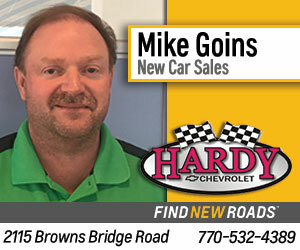 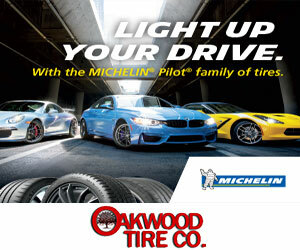 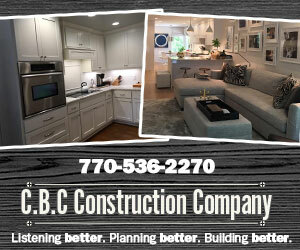 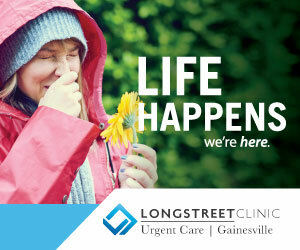 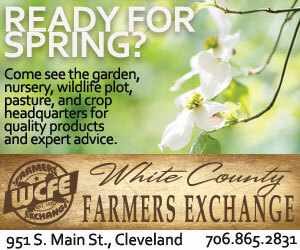 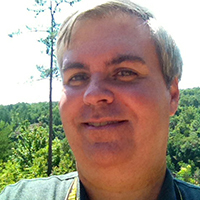 For more details, visit helenchamber.org.